• Alachua County has become a Zero Healthy Death community: Since January of 2009, no healthy dog or cat has died at Alachua County Animal Services. The partners communicate daily and have learned to work together and plan ahead to quickly transfer any healthy pet that is in danger of euthanasia at Alachua County Animal Services (ACAS) due to lack of space. Overall deaths are down almost 60% as the partners have begun the difficult task of saving all treatable pets, with treatable deaths down 34% by the end of Year 7. • The Community Live Release Rate (LRR) has risen from baseline 29% to 62%: This LRR number is based on the annual results at the end of Project Year 7. The LRR fluctuates during the course of the year, and has been as high as 74%. • Adoptions are up by 78%: The participating organizations have become experts at transferring, rehabilitating, marketing and re-homing large numbers of animals quickly and efficiently. They have learned techniques for monitoring length of stay and intervening to prevent harder-to-place pets from becoming long-term residents. They have abandoned old-school attitudes that were barriers to adoption, and have adopted new customer service approaches to engage more people in adopting, fostering and volunteering. adoptions at the individual organizations have increased exponentially as compared to the baseline year – as much as 1369% at one organization. • Community sheltering capacity has increased: Maddie's® investment in the nonprofit participating organizations through above-baseline adoption stipends has resulted in increased capacity to save animals, as evidenced by the jumps in annual intakes at the adoption guarantee organizations since the start of the project. Overall intakes increased 442% by the end of Year 7 as compared to the baseline year, with individual partner capacity increasing by as much as 1500%. • Increased Capacity and Sustainability of Partners: All project partners have become stronger, more effective and more sustainable organizations as they met the increasingly challenging goals and expectations of the project. 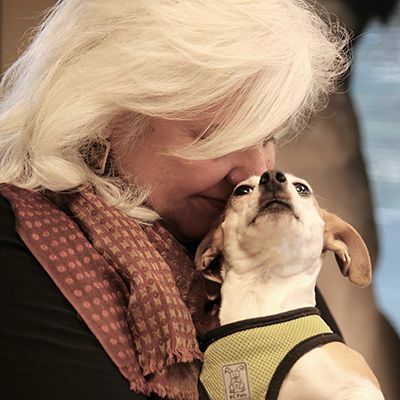 • A collaborative approach to pet rescue is the new norm in Alachua County: The early road was often rocky as the community's typically independent pet rescue organizations learned to work together with an eye toward the greater good. After seven years of working as a team, the project partners have learned that collaboration yields long-term success for the overall mission of saving lives. The five participating nonprofit organizations and ACAS continue to learn new ways to cooperate and communicate as they work on the difficult goal of saving all treatable pets. • Improved accountability and transparency: Thanks to the reporting requirements of the Maddie's® Project, all of the project partners are now skilled at collecting and analyzing shelter and community data and understand the importance of publicizing this information to the community. They are able to use data to project goals, make mid-course adjustments, and assess the effectiveness of their strategies. The Maddie's® Project reporting process has helped to transform the nonprofit rescue leaders into skilled business and public policy decision makers. • The focus is on ACAS animals: The participating organizations have changed their intake strategies to ensure that the pets most at risk of euthanasia – the ones already at ACAS – are the ones that receive first priority for rescue. In baseline year 2000, more than half of all intakes at the participating organizations came from the public; by the end of Project Year 7, that number had dropped to about a third, with the majority of slots devoted to animals transferred from ACAS. • Intake at Animal Services is down by one third: Far fewer dogs and cats are ending up at Alachua County Animal Services as compared to the baseline year. Intake at ACAS was 11,034 in Year 2000 compared to only 7,560 animals taken in during Project Year 7. The semiannual Year 8 statistics show this trend continuing, with ACAS intakes down 31% as compared to the same period in 2000. • Significant challenges have successfully been met: In spite of leadership changes, a disease outbreak, government funding reductions and an economic downturn, collaboration partners have persevered and improved their lifesaving year after year.